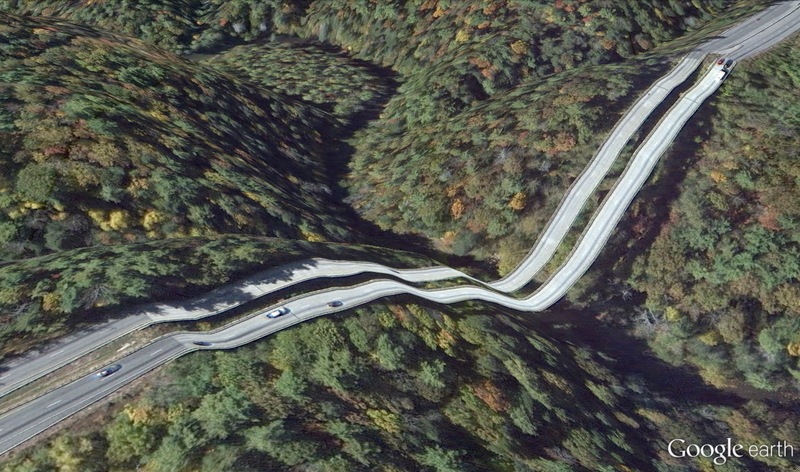 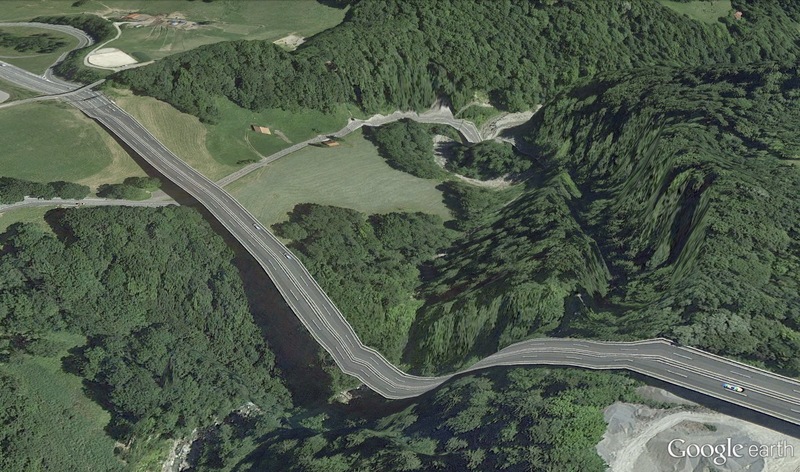 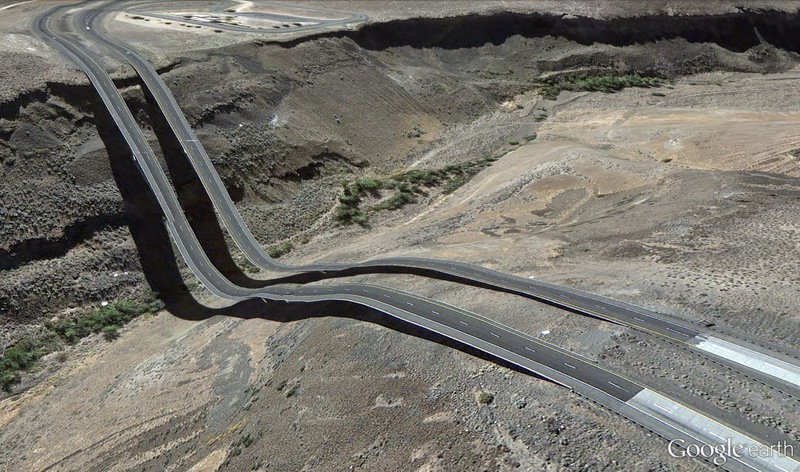 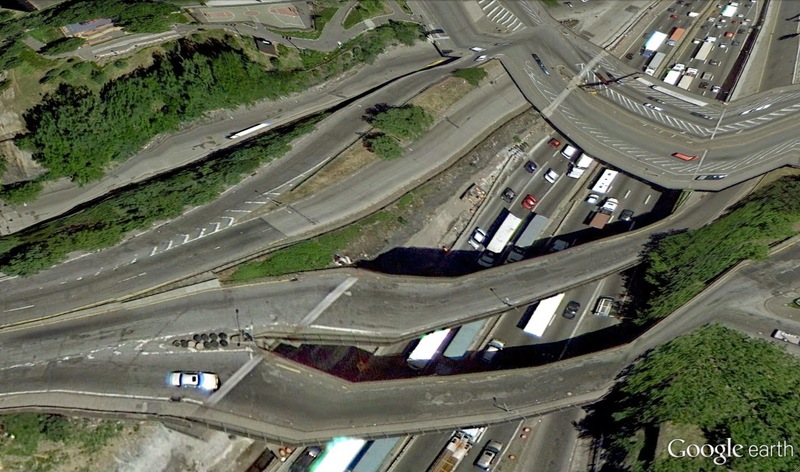 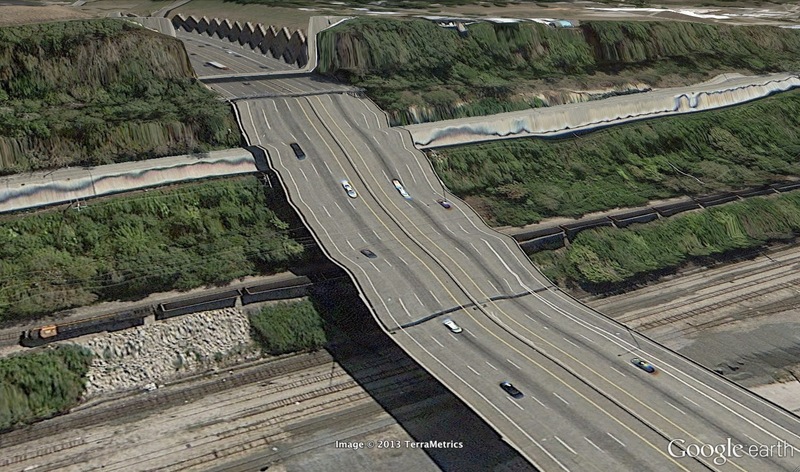 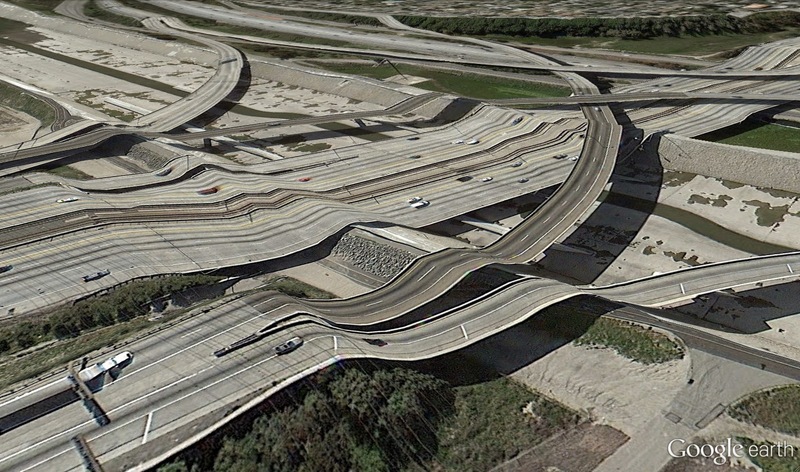 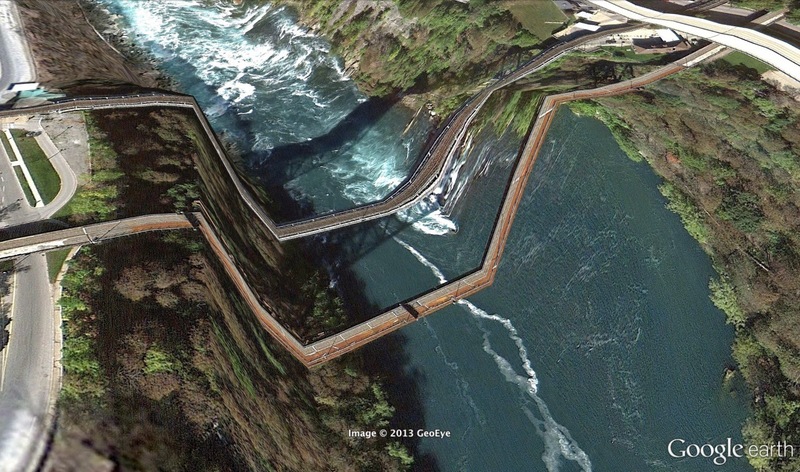 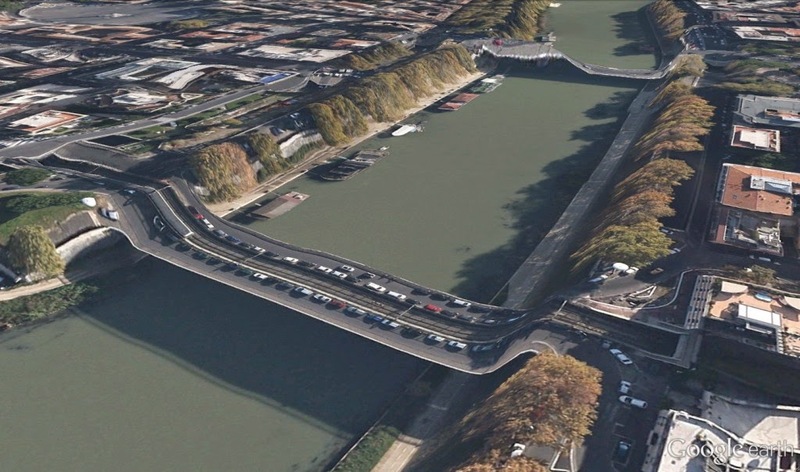 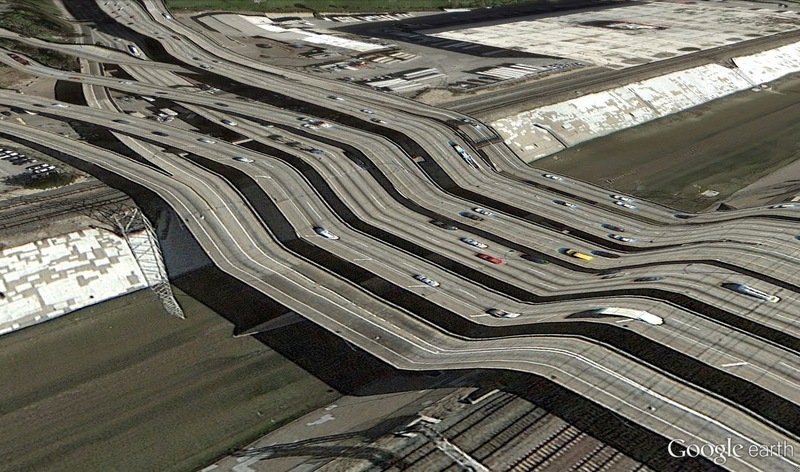 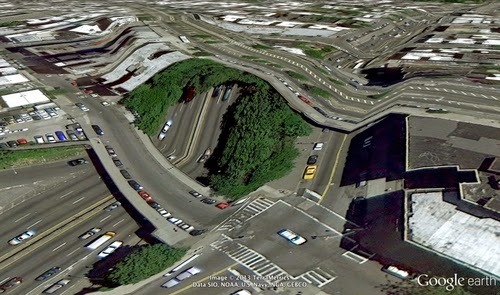 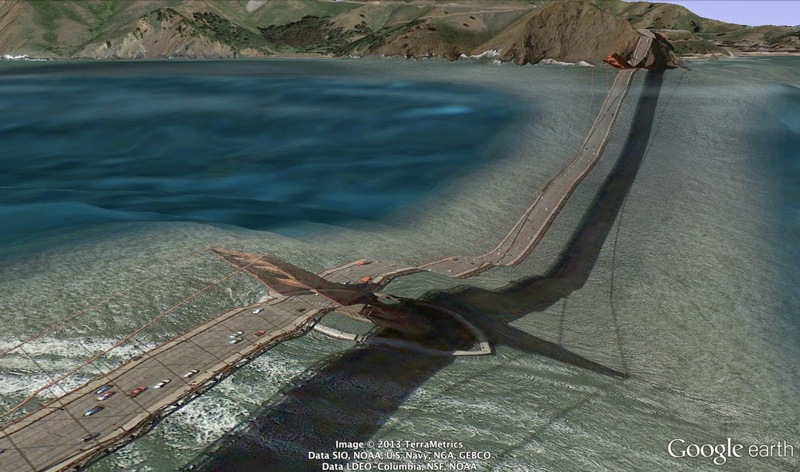 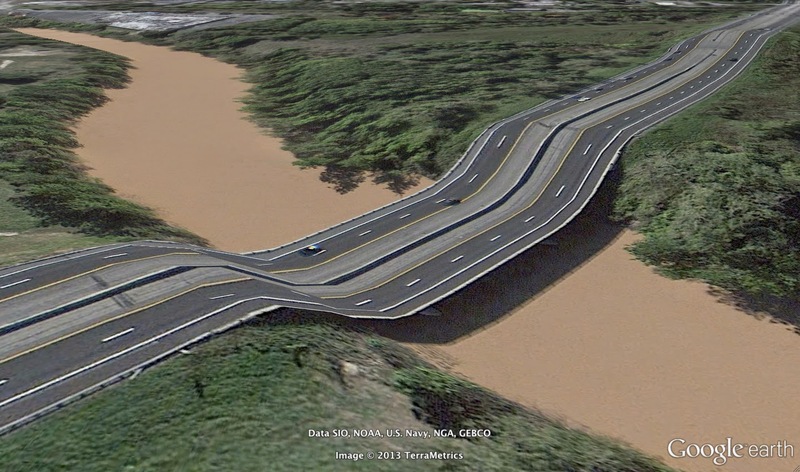 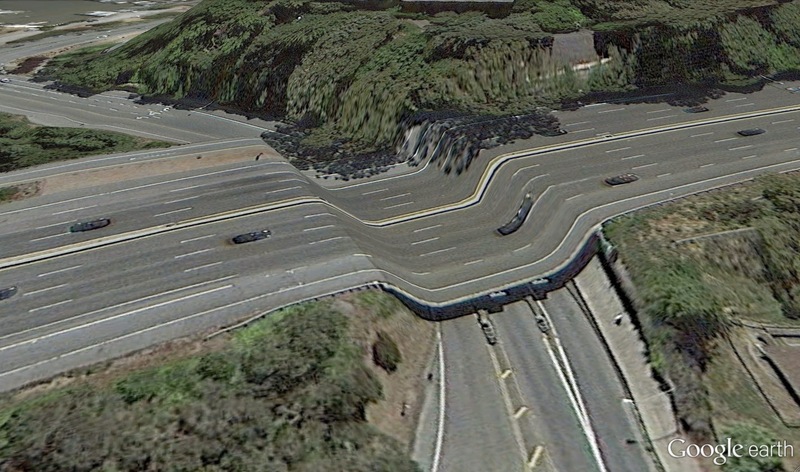 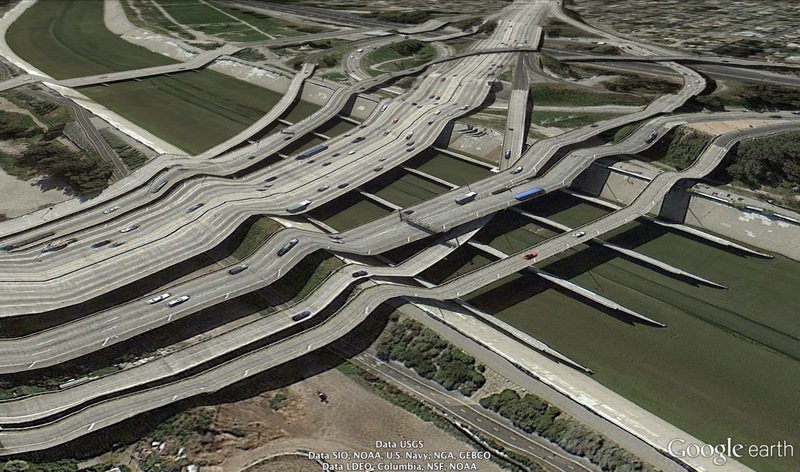 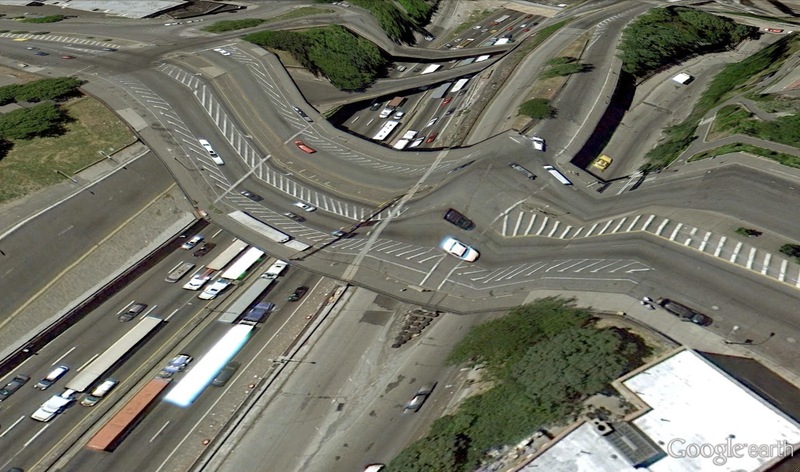 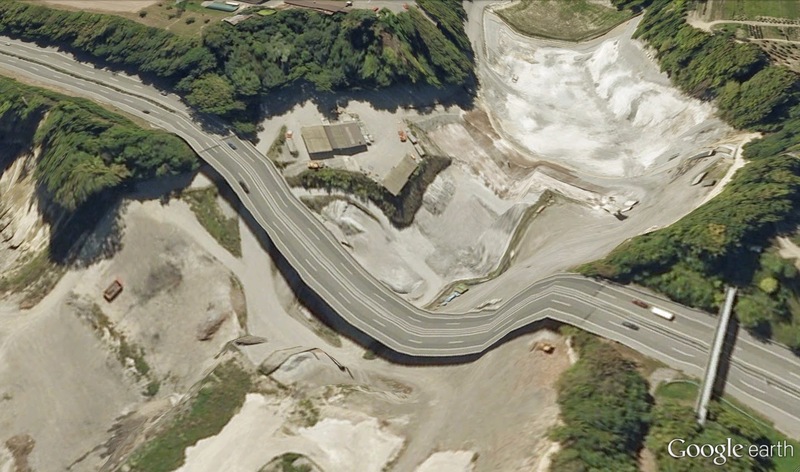 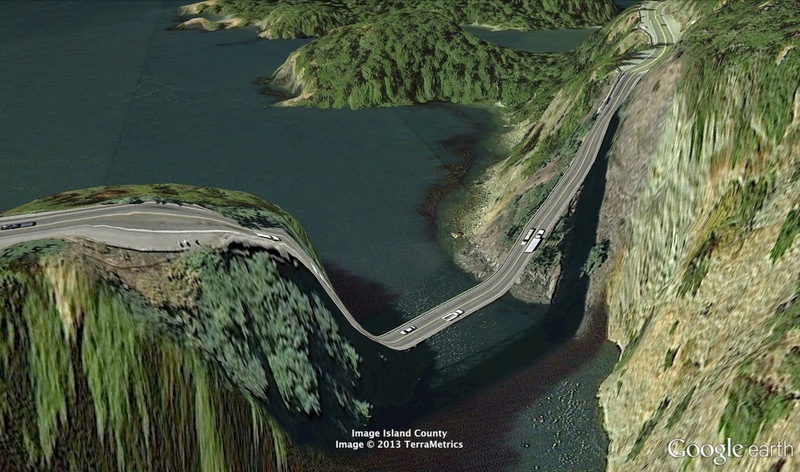 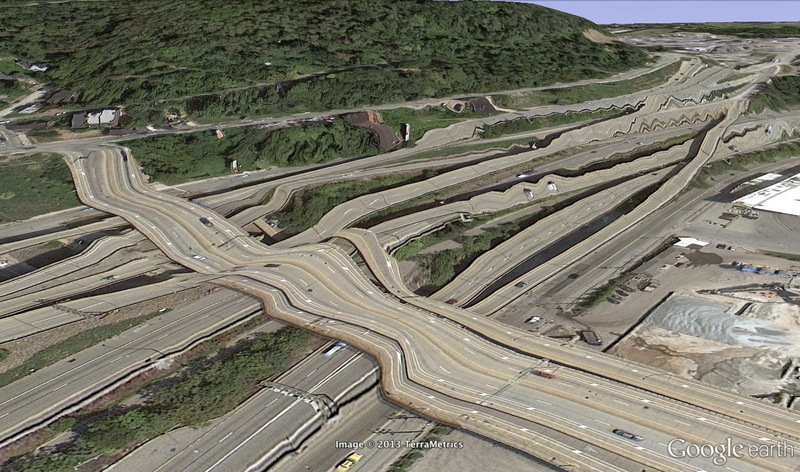 Clement Valla, a Brooklyn based artist, with a background in Architecture, has collected these strange satellite renditions from Google Earth, which he calls "Postcards From Google Earth". 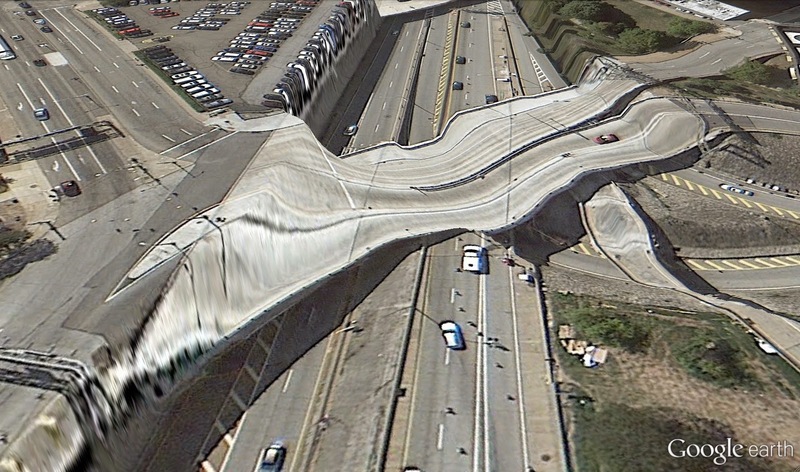 He says that at first he thought that they were glitches of the program but when he examined how the software works that stitches the pictures, he came up with the following explanation. 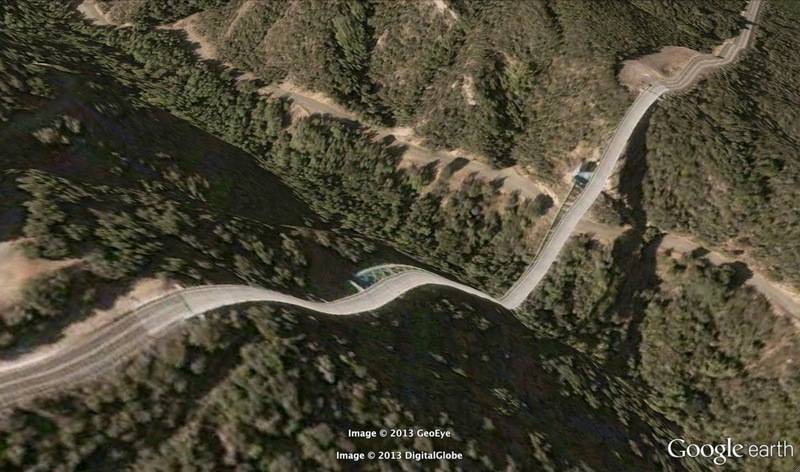 These images are not all taken from the same source at the same angle, the same height from earth, or at the same time of day with the same lighting. 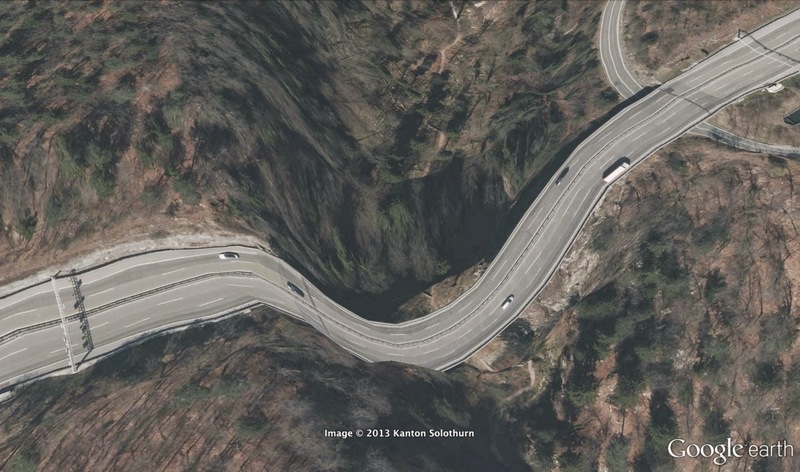 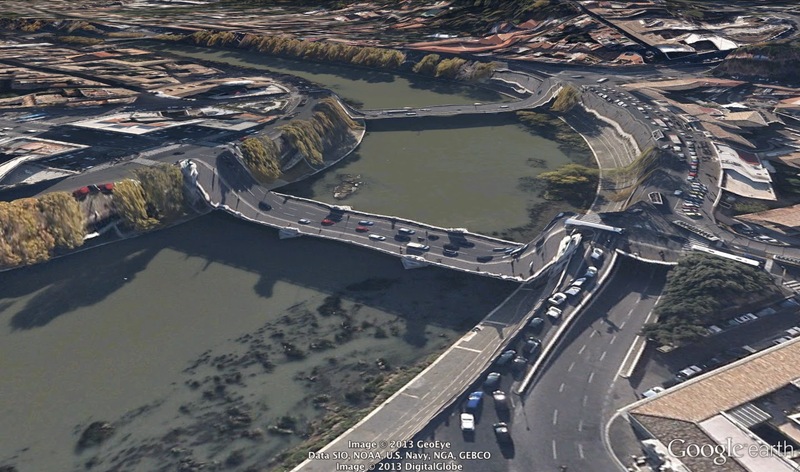 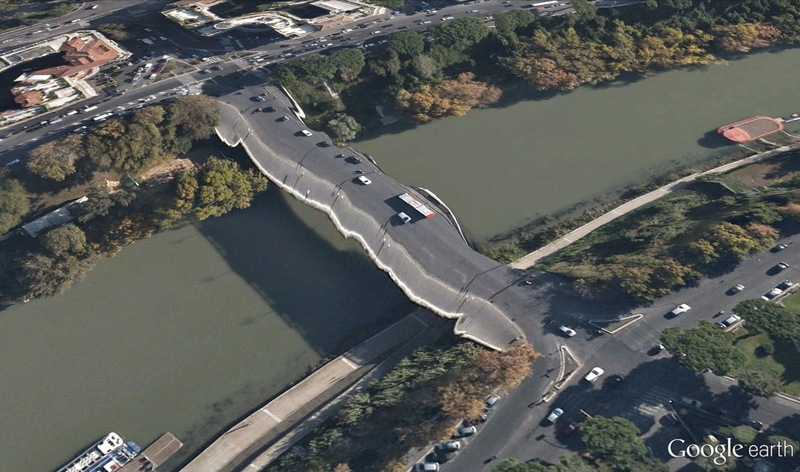 The pictures are taken by automated cameras, maps, pilots, engineers, photographers, surveyors and map-makers. 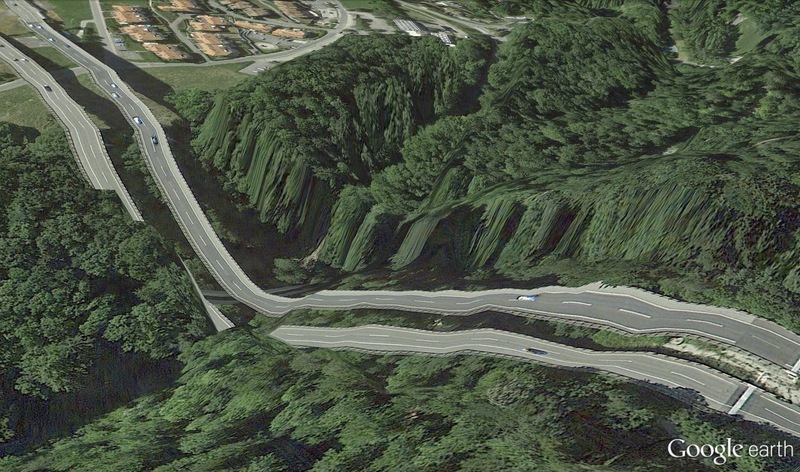 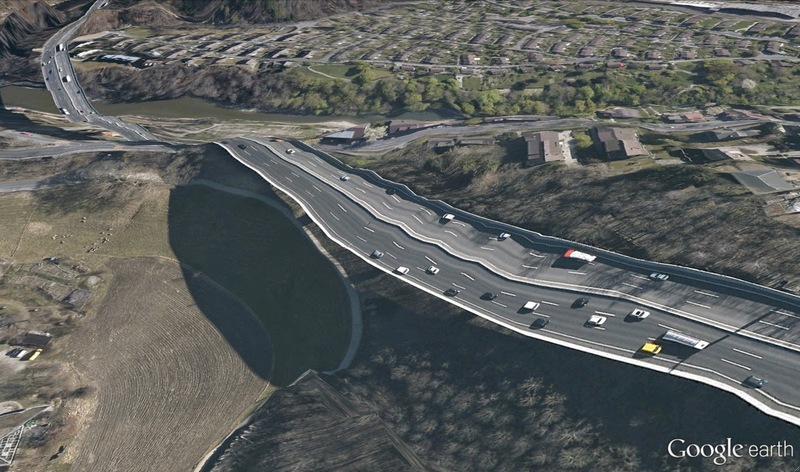 The software at Google, has to take all of these pictures and make them look like, as much as possible, as they have matching angles, lighting and scale. 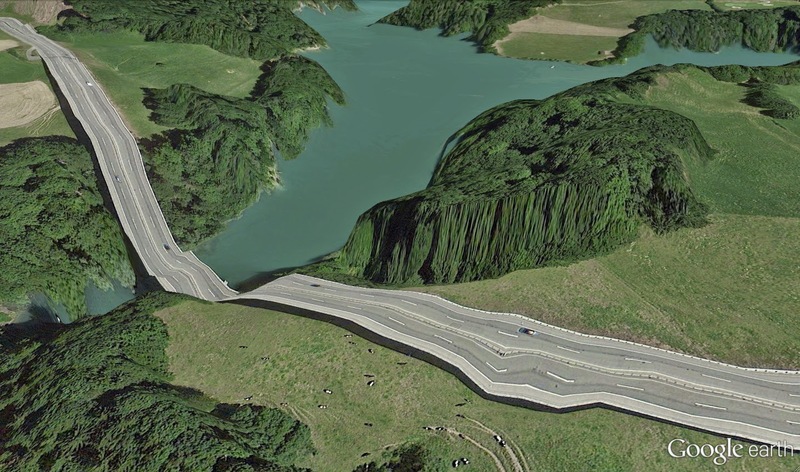 When altering the images to achieve this, it has to compensate for the properties the picture lacks and this is when you we these fantastic renderings that gives the picture a surreal and impossible view.